Brrr! In many places, it's been outrageously cold lately. 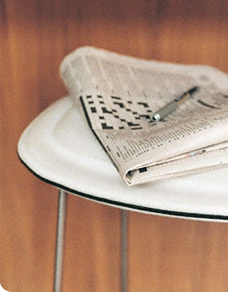 Stay warm and cozy up to our winter-themed crossword. Solve it and you could win a Visual Thesaurus T-shirt! This month's puzzle relies on how the Visual Thesaurus links from one word to another to form a chain of synonyms. Use the Visual Thesaurus word maps to figure out how one step links to the next. You'll find that the first and last steps in the chain, when taken together, form a phrase related to this winter's weather. Think you can figure it out? Once you've solved the puzzle, submit the ten links in the chain by clicking here and you'll be entered to win a Visual Thesaurus T-shirt! In the body of the message, please include the ten links, your mailing address, and your preferred T-shirt size. Ten winners will be selected at random. Deadline is February 21, 2014. Have fun and good luck!